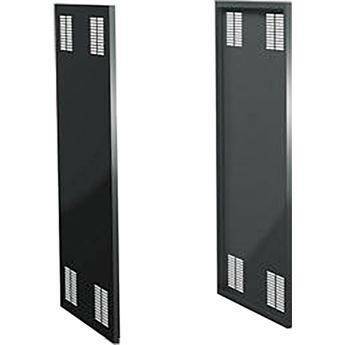 The Winsted Side Panels for Pro Series II Vertical Rack 90112 are steel, vented side panels designed for use with 20U, 24" deep Pro Series II racks. Use these robust side panels in your rack setup to protect your equipment from dust and foreign debris, or to add another layer of security. This unit includes one pair (2) side panels. Steel construction guarantees years of reliable use. Add an additional layer of security to your rack with the addition of side panels, restricting access to your equipment. Protect your equipment from dust and foreign debris by adding side panels to your rack setup. These panels are vented, allowing ample air flow to prolong the life of your equipment. Box Dimensions (LxWxH) 43.0 x 25.0 x 2.0"